President Nguyen Minh Triet arrived in Zurich city on May 16, beginning his four-day official visit to Switzerland as guest of Swiss President Doris Leuthard. 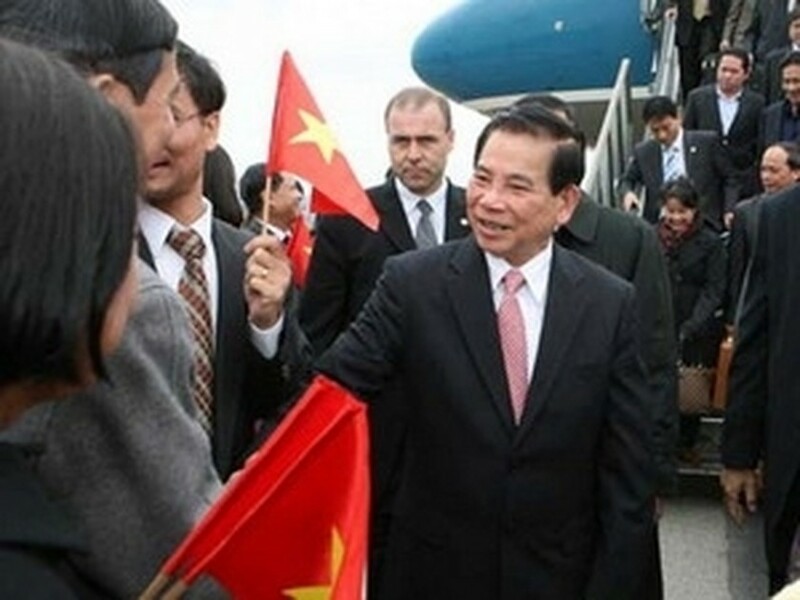 President Nguyen Minh Triet is welcomed by the Vietnamese community in Switzerland on May 16, 2010. The President was welcomed at a local airport by representatives from the Swiss Federal Council, Vietnamese Ambassador to Switzerland Hoang Van Nha, and Permanent Representative of Vietnam to the United Nations and international organisations in Geneva, Ambassador Vu Dung. Later on the same day, President Triet made a tour of Luzern, capital city of the state of the same name in central Switzerland . 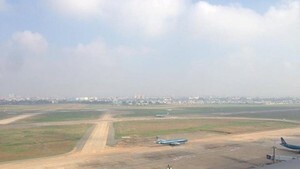 As one of the first Western countries establishing diplomatic ties with Vietnam, Switzerland has always given official development assistance (ODA) priority to Vietnam. Vietnam enjoys preferential treatment in trade that Switzerland grants to developing countries. In 2009, Vietnam exported to Switzerland over US$2 billion worth of commodities, registering a trade surplus while two-way trade was reported at approximately US$2.6 billion. Main export items included footwear, seafood, coffee, garments, and textiles. At present, more than 74 Swiss-invested projects are being implemented in Vietnam, with total registered capital of US$1.43 billion USD, ranking Switzerland number 19 among the 86 countries and territories with direct investment in Vietnam. Before visiting Switzerland, the Vietnamese President paid an official visit to Belarus from May 13-16.